I love coffee. And I love birds (Michaela's middle name is "Byrd"). To find an Etsy shop that combines my love of caffeinated beverages and frilly frou frou birdie stuff would be a dream come true. So you can imagine my delight when sweet Kathlyn from The Peacock Shop contacted me about advertising on Serenity Now. Her fun shop, open since May of 2008, features beautiful hand-painted mugs, tea cups, prints, and pillows. The fun little peacock logo is what drew my attention first. "Paula and Percy Peacock" were invented during one of Kathlyn's doodling sessions, and they feature prominently in her designs. Kathlyn describes her style as "simple and cute with a lot of turquoise mixed in between." The best part about The Peacock Shop? Kathlyn offers customizations for FREE! Whether you have an inside joke you want her to add to the inside of the rim, a Bible verse to the front, or your favorite quotation, talk to Kathlyn and she'll work it out. If you're going to drink your coffee/tea/mocha at home, why not do it in style? You can also find Kathlyn, an Army wife, blogging about family, friends, and crafting at The Patriotic Peacock. 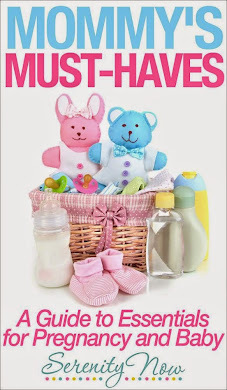 Kathlyn is generously offering a Giveaway this week for readers at Serenity Now! The Peacock Shop is giving away one adorable "Fancy Peacock Teacup" to a lucky reader. 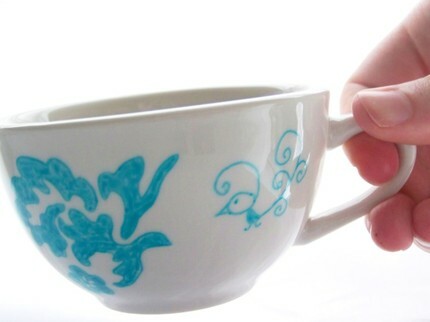 This fancy, hand-painted tea cup is decked out with pink and turquoise jewels. Visit The Peacock Shop and then come back here to leave me a comment telling me what your favorite item is. The contest is open until 5 pm (ET) on Sunday, March 28th. I'll announce the winner on Monday. Good luck! 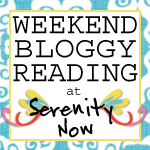 Interested in advertising your shop/blog/business here on Serenity Now? See my advertising page for more info., or shoot me an email! *Note: The Giveaway is now closed. Please check back in on Monday to see who won. So cute! Paula and Percy Peacock follow their heart........awwww, adorable!! So fun, I love the lips! What a great giveaway! My favorite item (even though I really like them all) is the Paula Peacock Preppy Pink Teacup. I've been really into green and pink lately. Thanks for the giveaway! Stopping by from SITStas & SO glad I did! Great post & great blog... I am now a follower! Wow those are so cute! I like the Percy Peacock goes teal mug! Adorable! Dropping in from SITS to say hello! I love the pillow the best....although I am a new found coffee addict. I would love to enter your giveaway and I now a follower too! Hello! Stopping by from SITS! I also have two daughters and a doggy! Im your newest follower and I cant wait to read more! If I had to choose, I'd say the La Moustache print. I love the whimsy of it, it's so unexpected! What a great giveaway!! Ahhh these are so cute! I love the Paula Peacock Retro Mod Style Teacup! Percy Peacock goes turquoise is my fav. A beautiful cup it is! Her products are really cute! I like several of the cups she has in her shop, most especially the turquoise mug, but I think most interesting of all is the fact that she'll personalize a cup. It would be so much fun to have a private joke or personal message on a cup. Very kind of her and you to offer this giveaway! What an adorable cup!! I wouldn't want to keep that one in the cupboard. I'd have to re-purpose it so it could be displayed for everyone to see on a daily basis!! i love scrolly things & doodling & paula & percy - too cute! my fav is the Paula Peacock Preppy Pink Teacup. Oh I love the Percy peacock goes turquoise cup, very cute! I just bought percy peacock takes a stroll 8x10 for my son's nursery. I love her work! And what a great giveaway! Thank you!! Such cuteness! I love the Portrait of Paula Peacock teacup. Cute stuff! I love finding new Etsy stores to expand my shopping horizons! I would so choose the poppy peacock teacup! I love the set of Scalloped Petite Peacock China Teacups - so sweet and delicate! I like the meet poppy peacock... these are so cute! I like the Paula Peacock Retro Mod Teacup. I love the Paula Peacock Retro Mod Style Teacup! The dots are adorable! I'd actually have to say I'd go with the Man Mustache Mug. It's just too funny! 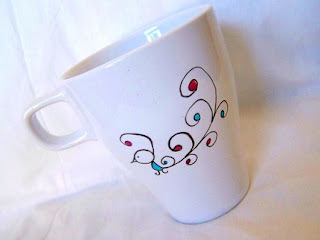 I LOVE the Paula Peacock Retro Mod Style Teacup, it is the exact colors of my kitchen! TOO CUTE! The Percy peacock goes turquoise cup would by my second favorite! percy and paula peacock are just so precious! while there are plenty of items that would vie for my attention, i must say the man moustashe mug is a must have in my home as my seventeen year old son uswd to draw moustashes on the inside of each of his fingers and hold them up to under his nose and change styles by simply changing fingers!!! he will be getting a tattoo one day memoralizing his grandfather but during the consultation session he is going to ask how much it would cost to tattoo his fingers with moustashes!!! you understand the significance! i am now a follower, just found your site today! What a fun giveaway! 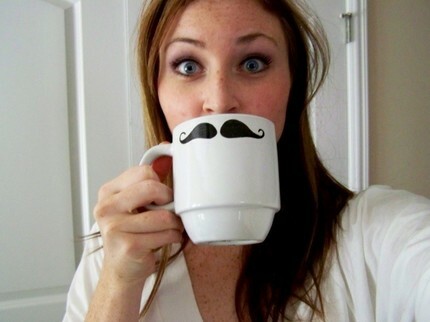 I WANT one of those mustache mugs. What a fun gift that would be! I'm going to put your giveaway on my sidebar. Hope you are having a great day! What a fun shop! I love her logo, and I got such a kick out of that mustache mug. Ha. My kids would think it was hilarious. I'm having a hard time picking a favorite, but I really like that cup with the turquoise design on it. So pretty! So cute! I love the lips. Thanks for the giveaway. I found Kathlyn's shop a couple weeks ago and instantly fell in love with the peacocks! I think Polka-Dotted Percy is my fave, but it's so hard to pick just one! I liked Paula's Portrait. This was the first time I've ever looked at anything Etsy. Cute stuff. 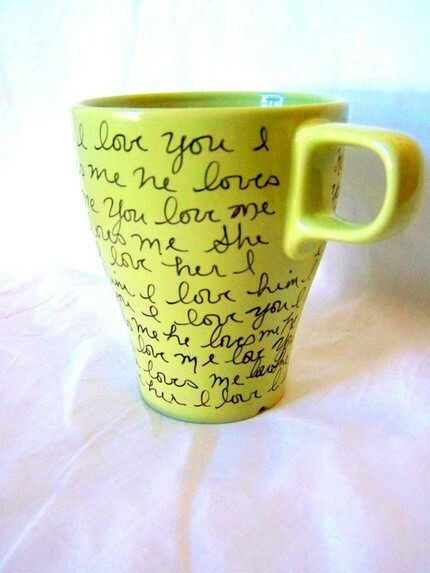 I like the Valentine I Love You mug. It's TOO CUTE! Hi Amanda, I love the percy peacock goes turquoise teacup. Hope I win! I have loved Kathlyn's stuff for a long time! My favorite is the mustache and lips mugs ( wouldn't they be perfect for a bridal party?!) I also love the Pillow (love the fabric on the back as well!) and the Monogrammed mugs - good idea to get a set for a newly engaged/married couple! I hope I win, but you better believe I'm purchasing for the next bridal shower either way! My favorite is the Valentine mug. So adorable! Hi Amanda, Fun giveaway! 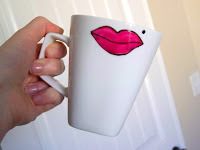 All the bird mugs are adorable, but I really love the cute lipstick mug! Great giveway! 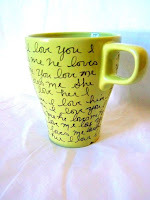 I love Paula Kathlyn's shop and blog! As a peacock and tea lover I was thrilled when I found her shop! I think the The Brightly Painted Peacock Teacup is my fave although the damask teacups are pretty cute too! So many cute cups.. I think my favorite is the dainty blue colonial teacup. I love the Le Moustache 5x7 print! Cute ! love them! especially the blue vintage cup... can't remember the name now! I must go sleep! The Parisian Peacock Necklace. Thanks for the wonderful giveaway. I love the Dainty Colonial Blue Peacock Teacup- Limited Edition! The blue and black is just to die for! paula and percy peacock follow their hearts is my fave. it's all stinkin adorable but i would have to say the paula peacock or liplined mug are my favorites. What an adorable shop! I think that the percy peacock goes turquoise teacup is pretty darn adorable. That turquoise would really pop in my kitchen since we have dark mugs!! 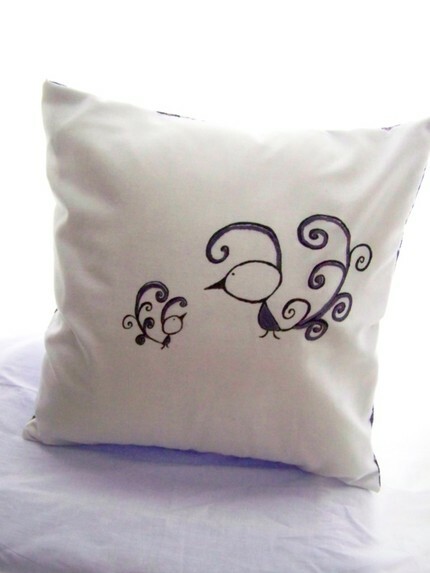 I too love birds, my daughters name is Wren :) LOVE the Peacock shop! Thanks for introducing me to them! Percy peacock goes turquoise is my favorite. My fave is the brightly painted peacock teacup. So cute! I love your blog, as always. The Man Mustache Mug is definitely my fave! I am totaly in love with the personalized paula and percy peacock ready for a wedding or a baby coffee mug . All of your product are beautiful. I'ts difficult to decide on just one. Oh my gosh the mug with the mustache is the cutest thing!! I love the monogrammed teacup! I collect teacups and I've never seen one anything like that! I love the Paula Peacock Turquoise Damask Teacup! I just can't help but love the "Kiss Me You Fool" mug. Love the whimsy and fun! Need that each day. I like everything but if I have to choose I will say the Steel Blue Shabby Chic Peacock Coffee Mug. My favorite is the custom listing for Novvemberr. I love the two peacocks in love. So cute! I think she should make this a regular design. How cute are these! I really love the Percy Peacock goes Turqouise! These are just so stinking cute! I love the monogramed peacock teacup! They are all so fun, but besides the cute giveaway cup, I would choose Paula Peacock turquoise Damask cup. Love the fun colors. love the percy peacock, and the i love you valentines cups. but everything is great. I like the set of 2 scalloped edged teacups. They are so cute!